AAIS Corp. is a family owned, Union Demolition Contractor that that has been servicing the private and municipal sector in Connecticut since 1986. From the smallest structure to the most complex building demolition, AAIS has the staff and equipment to safely complete any project on task. In addition to being a licensed demolition contractor, AAIS is also licensed to perform Asbestos Abatement, Lead Abatement, and PCB Remediation. This coupled with our demolition experience allows us to provide a one stop-shopping package to the owner. AAIS is currently working on several projects that vary from large retail renovations, military installations, waste water treatment plants as well as, state and private hospital and universities. 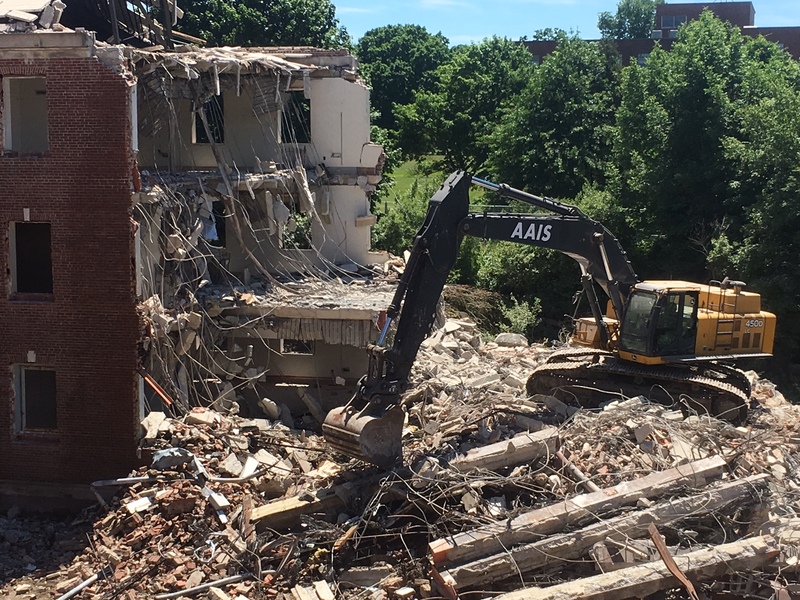 AAIS has successfully completed numerous elementary school, high school and technical high school renovations that were occupied while selective interior demolition, and large scale building demolitions had to be performed. Our track record is impeccable and list of recommendations supersedes our running list of successful projects. 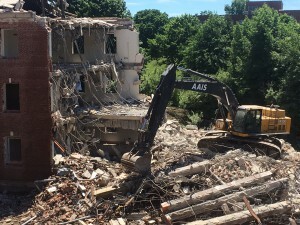 Fore more information about demolition, contact Joe Villano (joe@aaiscorp.com).